When not in use the vice can be folded beneath the workbench thus freeing the whole workspace for other work. 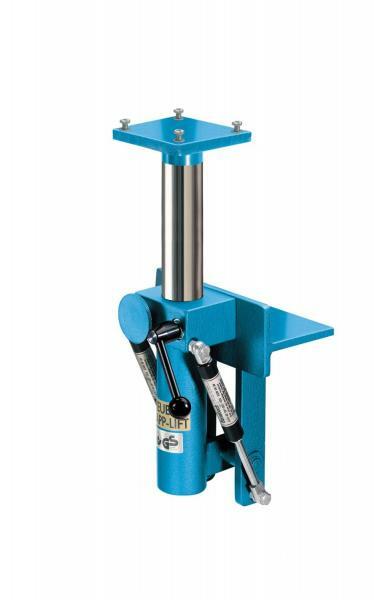 The adjustability of the vice extends to approx. 175 mm in height and to rotatability of 360°. People of different sizes, items of different height, sizes and shapes requiring a variety of work, are effortlessly accommodated with the HEUER Collapsible-Lift equipment. A real boon to the workplace that prevents serious posture damage - especially important for trainees in schools and workshops.